My Two year old was born Sept 27th so she was born the same day NML was! Happy birthday! I've been waiting for the birthday bash (which I'm presuming will be next week/weekend)? @painwalker You didn't need to use your gold, that 160+ radio is more than enough to get the job done. 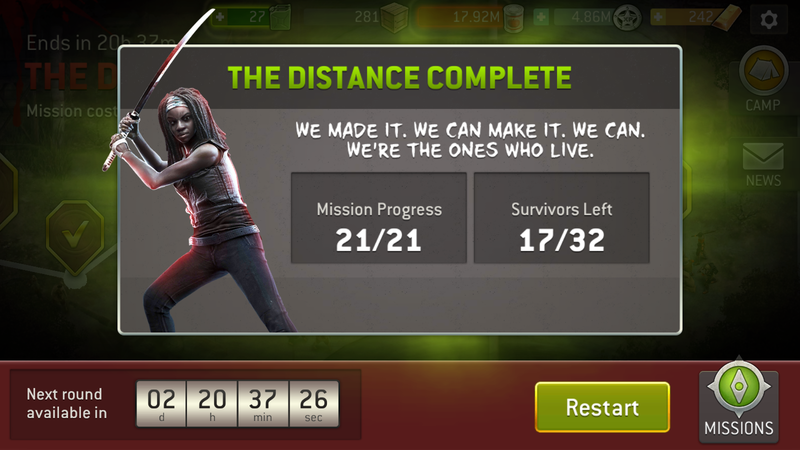 Yeah I beat The Distance this time without spending any gold. I think I used about 20 radios, and 1-minute gas took care of the rest. It seemed easier this time, too. You know what's really funny? Reading Facebook comments about The Distance. The NML page posted a picture of a completion screen, and people are commenting that they want proof someone actually beat The Distance. They don't believe it! I can't get enough of those Facebook comments. We really, really are a minority of players here on the forums. There are guys out there with level 22 survivors 3 pink, they've played that much, and they still can't figure out how to beat the distance. They're demanding to see screenshots of teams used when someone says they beat it. 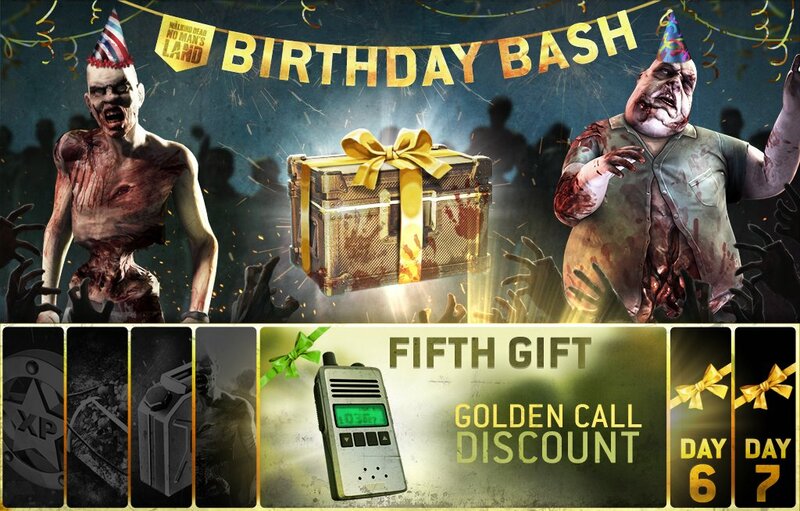 They're reasoning that you'd have to have level 40 survivors. It's so ironic! Did anyone see @painwalker dance live on YouTube? The things people do in hopes of getting a gold component. I will never look at walkers the same now. @Carly You got to do the jiggly wiggly!!! Sometimes the boogly woogly works as well!! I'm doing it fr tokens, HAHA! @Teeceezy @Fearofabotplanet I was disappointed not to see a birthday announcement this morning. Will there be a birthday bash this year? How much sooner is 'very soon' as compared to 'soon'?